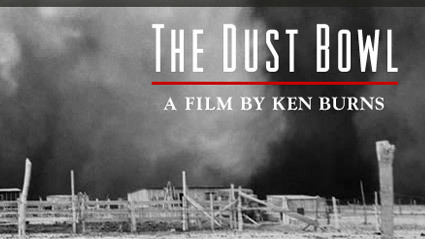 If you want to capture the history, misery, and sprit of America during the Dust Bowl of the late Twenties and Thirties Ken Burns does a magnificent job bringing it to life. The farmers that care for the breadbasket of America in the plains suffered so much; but what I love about this documentary is how Ken Burns brings their voice to life, and to see how much in common we have with them. if you can catch this documentary on your local channel you will be glad you did – it will speak to you!